A general contractor, developer or building envelope renovator seeking a building permit to construct a new home in B.C. or to perform applicable building envelope renovations, must first become a Licensed Residential Builder. 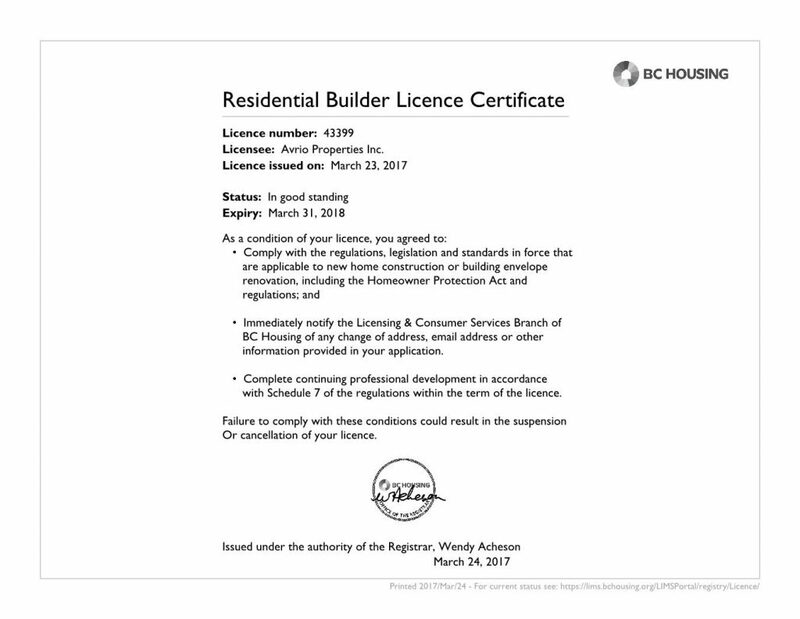 A Residential Builder must meet the qualification requirements, which are mandated by the Home Protection Office, a branch of B.C. Housing, and they only apply if a one is applying for a new residential builder licence as a general contractor. They don't apply for developers and building envelope renovators. A builder who may have had a previous licence and it was closed because the builder failed to renew, the Builder must also meet these qualifications. This also applies if your licence was cancelled or you contravened a condition of the licence within the past five years.